Want to know what a match made in heaven consists of? 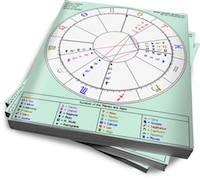 Take a look at the Venus in Taurus/Mars in Pisces couple and you’ll have your answer. This duo generates a creative buzz that keeps them humming along in their own beautiful bubble. Their romance is gently and soothing, providing each of them with a delicious haven from the hectic pace of everyday life. Venus in Taurus has a stable, sensual grace that attracts others to her like bees to honey. Her Earth Mother charms are legendary, as she abundantly provides for those she loves. Physically affectionate, this Venus loves to touch and be touched in return. She appreciates a partner who is steady and dependable, but she can all too easily become the reliable rock in the relationship, nurturing endless lost boys who come to her for comfort and reassurance. Mars in the sign of the fish swims through the waters of love with a deeply intuitive understanding of the ebbs and flows of relationship. Mars in Pisces may not always have a rational reason for his actions, but his feelings usually guide him in the right direction. This Mars seeks out a partner with whom he can share an almost spiritual bond, circumventing the harsh realities of life through the strength of their connection. His escapist tendencies may lead him to be deceptive in relationships, as he tries to avoid direct confrontation whenever possible. Like the clay that holds water, Venus in Taurus gently embraces and gives form to Mars in Pisces’ whimsical wandering. Mars in Pisces provides Venus in Taurus with a dreamy, magical refuge from life, helping her to let go and relax. Their union gives them each a little something extra to look forward to at the end of the day.